great photo! they looks so much alike! very handsome! They look so cute! Have a WW. Cute but the all look just alike!!! !Handsome guys! They are precious. Happy WW. Such a great picture! 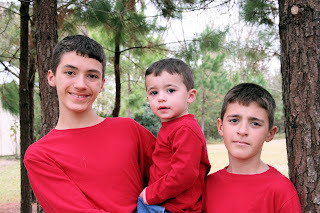 You have very handsome boys and they look so nice all dressed in red!